Travel inspires and delights. 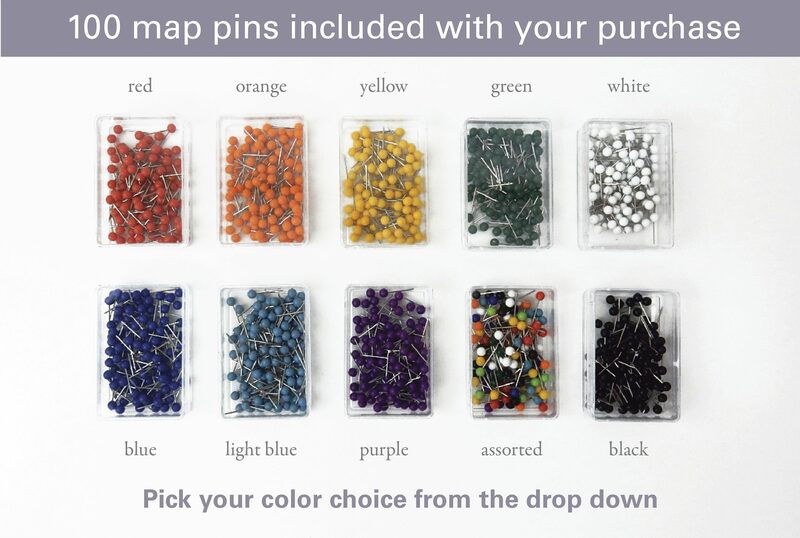 Track your family travels in style with this United States Push Pin map. Available on paper or cotton canvas, this map makes for a wonderful 1st year wedding anniversary (paper anniversary) or 2nd year wedding anniversary (cotton anniversary). This is a completely personalized map. Personalize your gift below. This is a personalized United States map that allows you to have a one of a kind map.